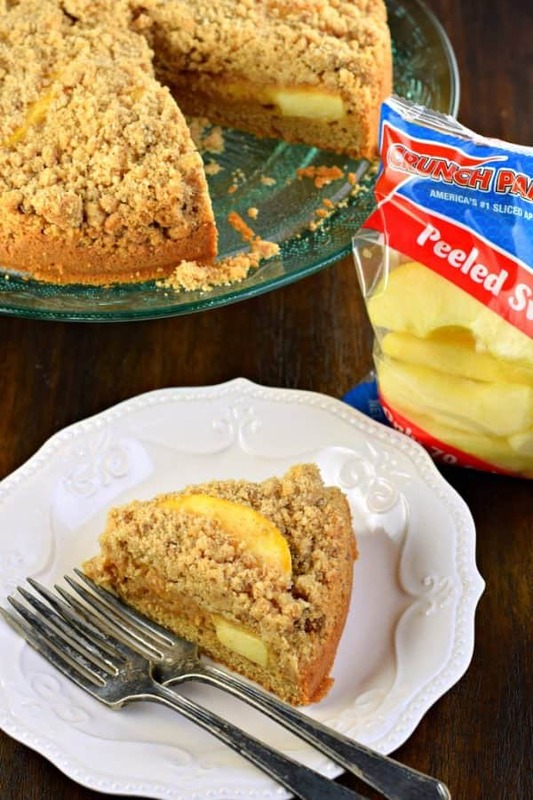 Sweet Cinnamon Apple Crumb Cake with a dense layer of cake, cinnamon apple filling and topped with a crunchy cinnamon streusel! The perfect breakfast! 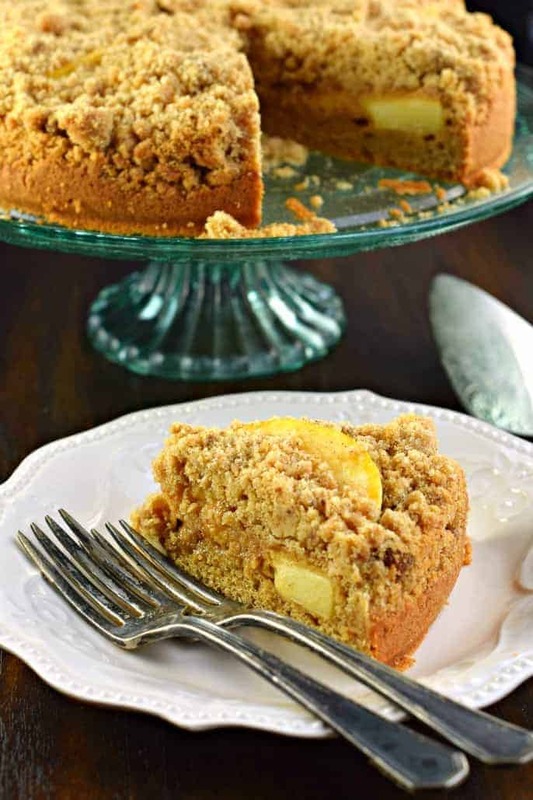 There is nothing better than waking up on a Saturday morning to birds chirping, a fresh pot of coffee brewing, and a slice of this Cinnamon Apple Crumb Cake waiting to be eaten. Granted, my life is not always like that. Most Saturdays I wake to the birds chirping (at 4 am!!!!! ), dogs barking, and leftover Friday night pizza still on the counter. In my on going relationship with Crunch Pak Apples I am back sharing another delicious breakfast idea! You may remember this recent Apple Cheesecake Ring, which is a delicious brunch idea! Or, how about this Praline Topped Apple Bread? Ring a bell? I also made a batch of Cranberry Apple Muffins, anyone familiar with this recipe? Well, no worries, you can go check them out, I’ll wait here! Okay, good…which one is your favorite? 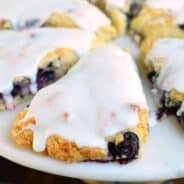 The Apple Hand Pies are always a huge hit! 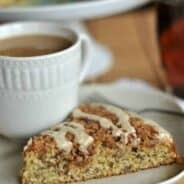 But I think you’ll fall in love with today’s crumb cake recipe! 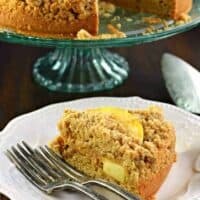 It makes a delicious, thick, dense cake filled with cinnamon apples and plenty of crumb topping! If you’re feeling adventurous, add a little cinnamon glaze to the top of this cake while it’s warm out of the oven! This is a very thick cake! I used a 9-inch springform pan to bake this cake, as it’s not only thick, but I also wanted it to remove from the pan nicely for serving on a cake plate. 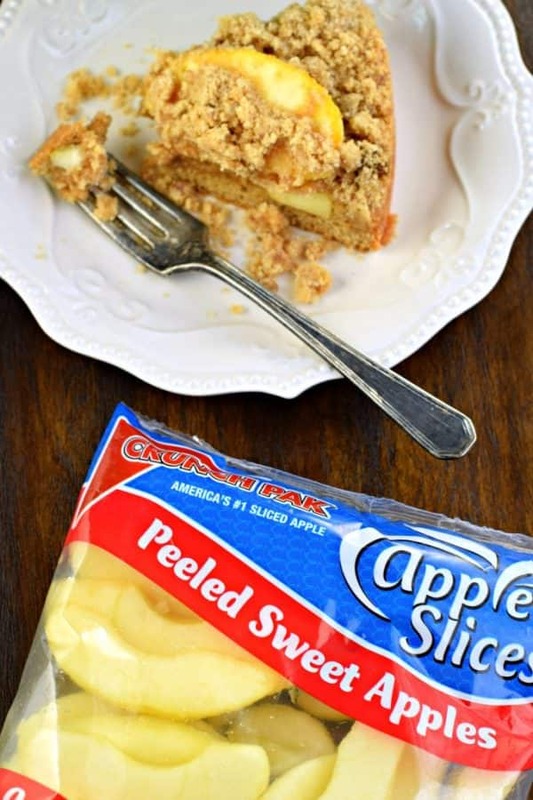 I used Crunch Pak peeled apples to make this easy, they’re so handy to keep in our refrigerator for baking and snacking! 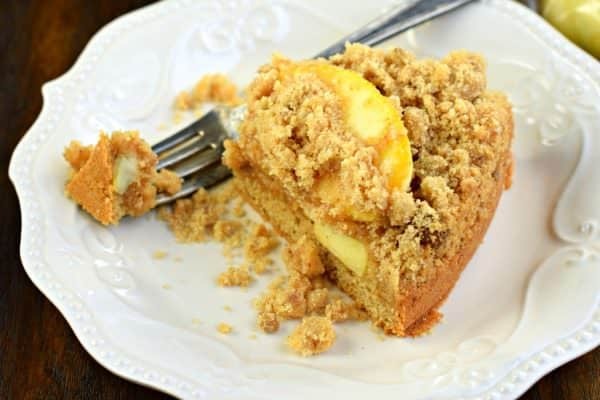 To make this cake, pour the batter into the bottom of the pan, add your sliced apples, then top with your thick layer of crumble! For the cake, grease and flour a 9-inch springform pan. Set aside. In a large mixing bowl, mix flour, sugar, baking powder, baking soda and salt on low until combined. Beat in softened butter until crumbly. Add in eggs, vanilla extract, cinnamon, and milk. Beat for about 3-4 minutes until light and fluffy. Pour into prepared pan. 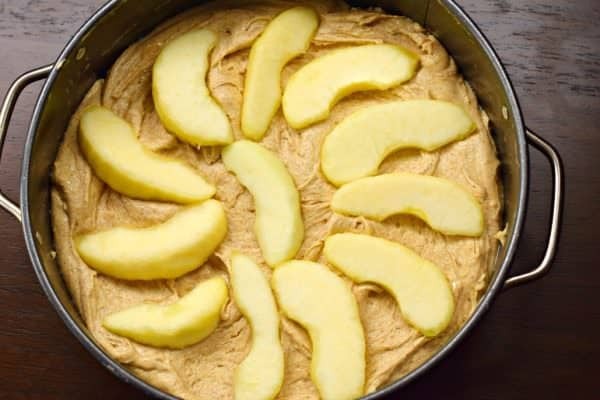 Layer sliced apples over the cake batter. In a small bowl, combine streusel ingredients with a fork. Sprinkle over top of cake. Bake in a 325 degree oven for about 38-42 minutes. Cool completely in pan. When cooled, release from springform pan. 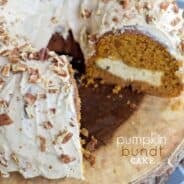 **If you're wanting a glaze with this cake, whisk together 1 cup powdered sugar, 1/2 tsp cinnamon, and 1 Tbsp milk until smooth. Drizzle over warm cake. ENJOY. Whether filled with apples, different cake flavor? Good morning. Can you use a 9X13-inch size pan? Cause I don’t have a spring-form pan.